Handmade in Australia, these finely stitched leather tool rolls fit Lie-Nielsen bevel edge, fishtail, corner and mortise chisels. They also suit Auriou carving chisels and others. All fittings are quality antique brass. 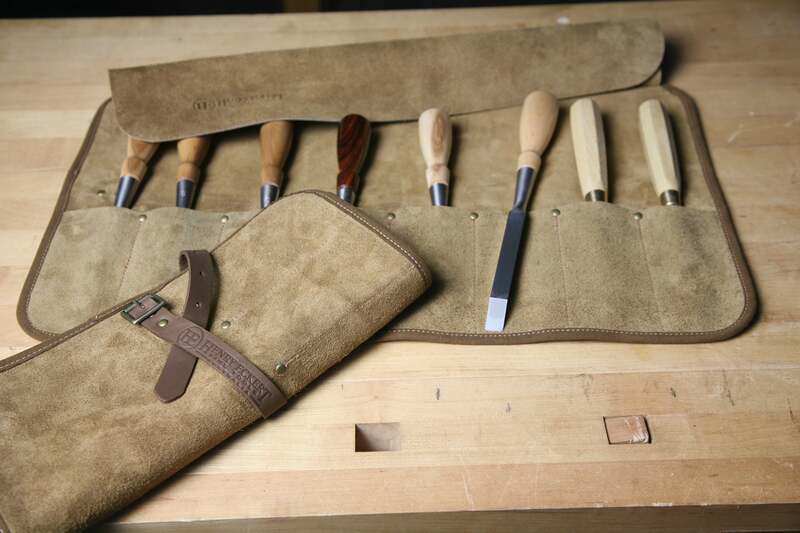 Australian split leather hides are used to produce a durable and soft handle leather tool roll.